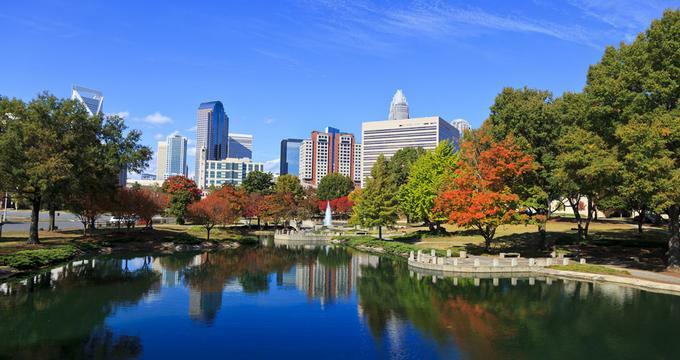 From beautiful green spaces to a diverse selection of museums, weddings venues, tours, free attractions, parks, and restaurants, Charlotte is a fun city to visit year-round. Discover the Mint Museum, the oldest art museum in North Carolina, tour the 150,000-square-foot NASCAR Hall of Fame, and watch a theater performance. ImaginOn is one of the best things to do in Charlotte, NC with kids. You may also enjoy visiting one of the nearby beaches or waterfalls. Founded in 1927 by Elizabeth and Edwin Clarkson and later donated to the Wing Haven Foundation, the Wing Haven Gardens and Bird Sanctuary is a beautiful public garden and bird sanctuary that is open year-round. The well-kept gardens were designed to resemble a Cross of Lorraine, with shorter perpendicular paths crossing a longer central path, and are home to a wealth of ornamental trees, shrubs, and flowers as well as pools, fountains, sculptures and a beautifully preserved English sundial dating back to 1705. The gardens also feature a poem by Japanese pacifist Toyohiko Kagawa and a statue of Saint Fiacre, the patron saint of gardeners. If you are looking for fun things to do in Charlotte NC with kids, the Wing Haven Gardens and Bird Sanctuary is a beautiful place to visit. 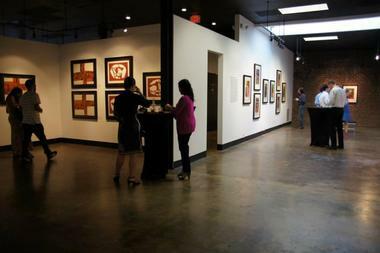 The internationally-renowned Mint Museum is at the forefront of Charlotte’s arts and culture scene, inspiring creativity through an unrivaled collection of art. The Mint is the oldest art museum in North Carolina and home to a globally significant collection of works and ground-breaking exhibitions housed in two locations in the city: Mint Museum Uptown and Mint Museum Randolph. Mint Museum Randolph is located in the original branch of the United States Mint and has incredible collections of European and African art, ancient American art, ceramics and decorative arts, and fashion. 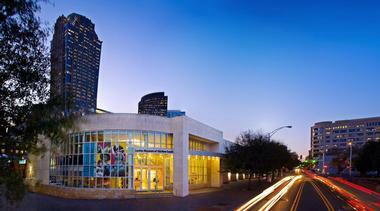 Mint Museum Uptown features outstanding collections of American, European, and contemporary art as well as a world-renowned craft and design exhibition. The Mint Museum offers guided tours of the permanent collections in both buildings and special exhibits and presentations throughout the year. 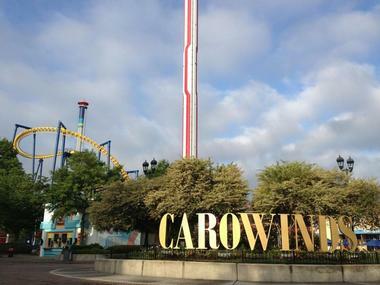 If you are wondering what to do in Charlotte, North Carolina with kids on a rainy day, this is a great place to visit. Located in Uptown Charlotte, the NASCAR Hall of Fame documents, celebrates and honors the history and heritage of NASCAR. One of the city’s most popular attractions, the 150,000-square-foot state-of-the-art venue features a variety of interactive exhibits, informative displays, and hands-on presentations about the cars, the races, and the fans. The modern, 278-seat High Octane Theater plays an exciting informational film about the history of NASCAR. More video, innovative graphics, and rotating displays greet visitors in the Great Hall. Induction ceremonies take place in the outdoor ceremonial plaza. Glory Road is lined with historic cars while Race Week is an interactive area which provides a behind-the-scenes look at the preparation a NASCAR team goes through before race day. The Hall of Fame’s racing simulators are a popular attraction where visitors can take the driver’s seat and experience racing first-hand. Discovery Place is dedicated to promoting exploration of the natural world and is one of the top family attractions in Charlotte NC. The center’s wealth of outstanding exhibits and dynamic displays inform, challenge, and engage audiences of all ages. 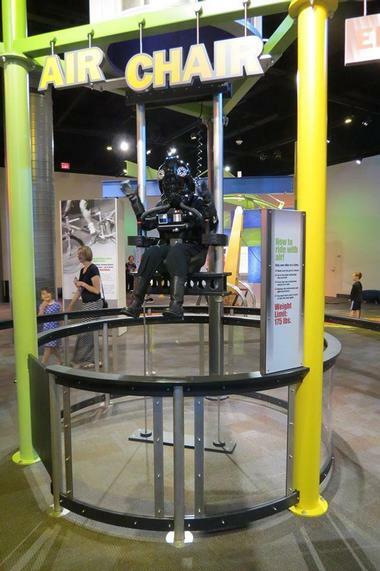 One of the leading hands-on science centers in the country, Discovery Place also operates the Charlotte Nature Museum next to Freedom Park. At the Nature Museum, visitors can get close to nature by observing live animals including free-flying butterflies and other insects. Another satellite of Discovery Place is the newly-opened Discovery Place KIDS museum in Huntersville. Discovery Place KIDS provides a rich and rewarding play experience that engages children’s imaginations and inspires learning. Owned and operated by Kristi Martin, FEAST Food Tours is a culinary events company that runs walking food tours around some of Charlotte’s best restaurants and eateries. Feast Food Tours takes visitors all over the city, from the Historic South End and Plaza Midwood to the artistic district of NoDa and the stylish and chic Uptown. Visitors will get to see some of the city’s best restaurants, meet the chefs behind the culinary masterpieces and taste some of their delicious fare. Tours will also delve into the history and culture of each neighborhood and discuss how each eatery supports the community through locally sourced ingredients and sustainable food. Feast Food Tours also offers private tours. Visitors planning to take a tour should wear comfortable clothing and walking shoes (Phone: 980-258-9992). ImaginOn is a children’s library and theater that brings stories to life. 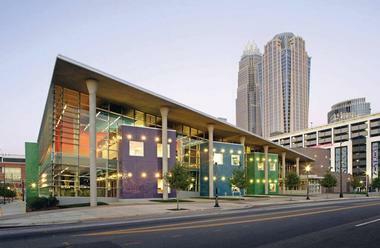 Inspiring, encouraging, and educating children, the center is home to two state-of-the-art theaters, a multimedia production studio, a dedicated library for kids under 11, and a teen-only library. The center also features four multi-use classrooms and an interactive exhibit space. Library services at ImaginOn and drop-in program participation are free of charge; however, tickets are required for the shows and pre-registration is required for children’s theatre classes and some library programs. The Carolinas Aviation Museum at Charlotte Douglas International Airport is dedicated to educating visitors about the importance of aviation to society. Founded by Floyd and Lois Wilson in 1992, the museum aims to preserve aviation heritage with a collection of more than 50 stationary aircraft and smaller historic aviation-related items. The museum also boasts an array of still-operational historic aircraft such as the B-17, B-24, B-29 and Berlin Airlift C-54. The Bechtler Museum of Modern Art, located inside the Levine Center for the Arts, is dedicated to modern art. Housed in a beautiful 36,500-square-foot space designed by Mario Botta, the museum features a collection of more than 1,400 artworks. The downtown museum is named after the family of Andreas Bechtler, who assembled the collection of works by famous artists such as Léger, Matisse, Degas, Warhol, Mirò, Picasso, and Le Corbusier. Visitors are welcomed to the museum by the awe-inspiring, 17-foot Firebird (Le Grand Oiseau de Feu sur l’Arche) by artist Niki de Saint Phalle, made of over seven thousand mirror mosaics. Blumenthal Performing Arts is the heart of Charlotte’s performing arts scene and is home to such outstanding organizations as the Charlotte Ballet and Symphony, the Community School of the Arts, and Opera Carolina. The Blumenthal has six theaters under its management. The Booth Playhouse, the Belk Theater, and Stage Door Theater are in the Blumenthal Performing Arts Center building while the Duke Power Theater and McGlohon Theater are both in Spirit Square. The Knight Theater is also under Blumenthal management, and the company presents additional performances at the Ovens Auditorium. If you are looking for romantic date night ideas in Charlotte, look up the Blumenthal Performing Arts schedule. The Blumenthal provides performing arts courses, classes, and events throughout the year. Charlotte NC Tours is a full-service tour company that offers a variety of adventures from walking, cycling and Segway tours to ghost tours, family reunion adventures and relocation tours for those new to the city. The tours are guided by friendly staff with a broad knowledge of Charlotte and its rich history. They’re a fun way to see the city and will leave you feeling like a local by the end.Charlotte NC Tours has suitable vehicles, from vans to buses, for groups of every size. The company also offers bicycle rentals and customized tours for special events such as team building and birthday celebrations (Phone: 704-962-4548). Tin Kitchen Food Trucks have been familiar sight around Charlotte since 2010. Calling themselves the “freestyle” gourmet food truck, they serve unique and original sliders, tacos, and quesadillas made of fresh, seasonal local ingredients. Try their chicken tinga with pulled chicken simmered slowly in tomatoes, onions, and chipotles served with salsa verde, queso fresco, and scallions. 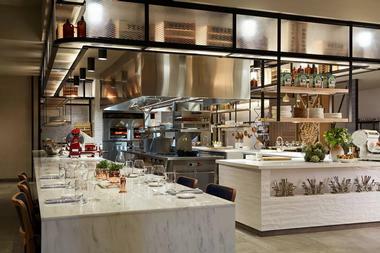 The menu changes often depending on the season and the chef’s new ideas. The food is prepared in a communal kitchen shared with other food trucks and vendors, then loaded on one of their shiny silver trucks to make the people of Charlotte’s various neighborhoods happy. Tin Kitchen is also a reputable caterer providing delicious food for any size party, from backyard birthdays to corporate events. The Charlotte Museum of History consists of several historic structures on a wooded eight-acre campus in east Charlotte. 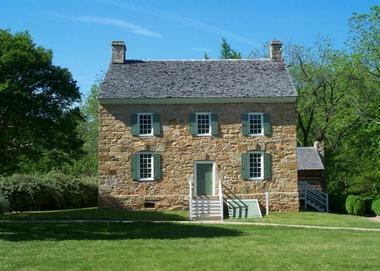 The oldest of these structures is the Hezekiah Alexander House, a 5,000-square-foot rock house built circa 1774. The Alexander House is listed on the National Register of Historic Places and is the oldest surviving house in Mecklenburg County. It features a reproduction log kitchen, barn, and reconstructed two-story springhouse. The museum’s exhibits span three galleries and document the history and heritage of Charlotte and Mecklenburg from the 18th to 20th centuries. Guided tours of the museum are held daily and special tours for groups can be arranged. Charlotte’s Levine Museum of the New South aims to encourage a deeper understanding of the past: to teach visitors how history has shaped the present and how it affects the future.The museum's permanent exhibit is called "Cotton Fields to Skyscrapers: Charlotte and the Carolina Piedmont in the New South" and features excellent displays that reflect the region’s history. Other exhibits include an authentic African-American hospital, a tenant farmer’s house, a cotton mill and millhouse, and a Civil Rights Era lunch counter. The exhibits serve to educate visitors on local history and culture. 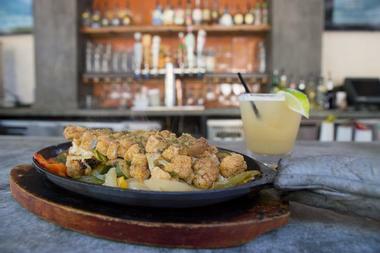 Ru Ru’s is Charlotte’s elegant, sophisticated version of a taqueria, filled with art and antiques, a serene oasis both inside and outside on a magnificent patio surrounding the cool fountain. It is located in the beautiful historic Reynolds-Gourmajenko House, handsomely renovated with iron gates, rough-hewn woodwork, and beautiful touches everywhere. The food matches its lovely surroundings. There are nine variations on tacos in soft, tender, house-made flour tortillas filled with simple, wholesome fillings such as grilled chicken, salsa and smoked aioli, or the slightly less Mexican Korean barbecue flavored skirt steak with red cabbage. There is a whole range of margaritas, all sorts of other cocktails, and a number of local beers on draft. Dana Rader Golf School offers exceptional programs for players of all ages and skill levels. Led by founder Dana Rader, the school employs a team of certified LPGA and PGA instructors who take a student-centered approach with one-on-one coaching, practical education and training aids, proactive communication, and a personalized game plan to address specific goals. Dana Rader Golf School offers an extensive range of programs for men, women, young people, and corporate groups. The first-class facilities and services include all-weather hitting bays and practice areas, a world-class driving range, extensive training aids, club fitting, and personal video analysis. More Vacation ideas: Top Spiritual Retreats, Romantic Restaurants in Charlotte, Harvey B. Gantt Center. At Chef Alyssa’s Kitchen, cooking novices can learn the basics, more experienced cooks can enhance their culinary skills, and anyone can have a great time cooking, eating, drinking and making new friends. 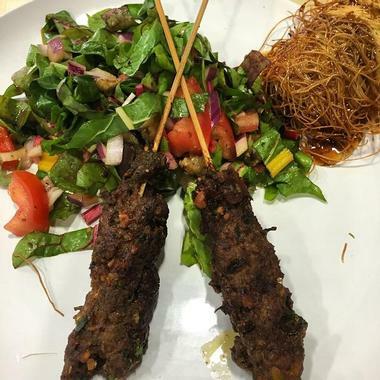 Run by Alyssa Gorelick and Andrew Wilen, Chef Alyssa’s Kitchen is located in South End and offers healthy sustainable cooking lessons for everyone. Classes are designed to be fun and informative. Students learn how to cook based on seasonally available ingredients, and ultimately how to live a healthier life. Chef Alyssa’s Kitchen offers five levels of classes, from beginner classes to advanced courses for professional chefs looking to hone their already-mastered skills. Chef Alyssa’s Kitchen also hosts private events and functions such as team-building, corporate events, and birthday parties. UNC Charlotte Botanical Gardens serve as an educational resource for the university and the public. The gardens consist of three distinct areas: the 7-acre Van Landingham Glen, the 3-acre Susie Harwood Garden, and the McMillan Greenhouse complex. 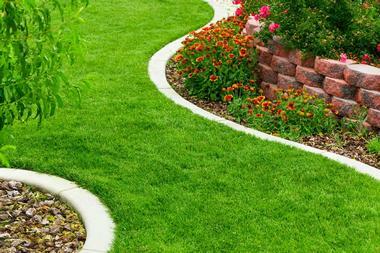 All of the areas are well-maintained and have unique varieties of plants, shrubs and trees, from native wildflowers in the Glen and ornamental plants in the Harwood Garden to lush tropical flora in the greenhouse. The Botanical Gardens offer a wealth of classes, and workshops and guided group tours, as well as plant sales, membership, volunteer opportunities, and plant society meetings. 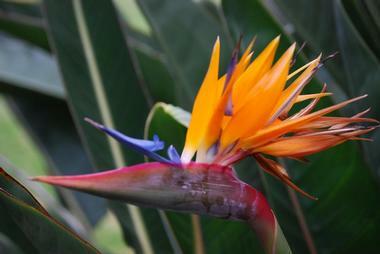 UNC Charlotte Botanical Gardens are one of the best Charlotte attractions for garden lovers. With a bright, open kitchen at its heart, Stoke is an upscale, spacious eatery with high ceilings, located in uptown Charlotte’s Marriott City Center. This all-day restaurant offers contemporary American cuisine ranging from wood-fired meats to oysters, charcuterie boards, and salads. Try their simple but perfect flat iron steak with salsa criolla and avocado. All the ingredients are seasonal and regional, the flavors are exquisite, and the atmosphere is relaxed and comfortable. They offer brunch every day until 4 pm. Try the chicken biscuit with pimiento cheese, maple syrup, and bacon; it is a meal in itself. They have 25 revolving regional craft beers on tap and interesting and original cocktails with a spotlight on a specialty teas and fruit-infused cocktails. Snuggled between Whole Foods and the SunTrust Bank’s regional headquarters, Sharon Square is a mixed-use, walkable community in Charlotte’s South Park that combines a range of residences, businesses, first-class dining, shops, cafes, and bars and is modern, attractive, and easily accessible. Some of the best Charlotte’s restaurants are located on the Sharon Square – Dogwood Southern Table, Rusty Bucket, Corkbuzz Wine Studio, and Oak Steakhouse. There is also the Denise Antonacci Salon, The Bar Method, the gourmet pet shop Woof Gang Bakery, Design Gaps, a drive-through Starbucks, and much more. Solis Sharon Square offers a range of upscale apartments with superb amenities such as a modern fitness center, a resort-style pool with a sundeck, a games room, and courtyards. 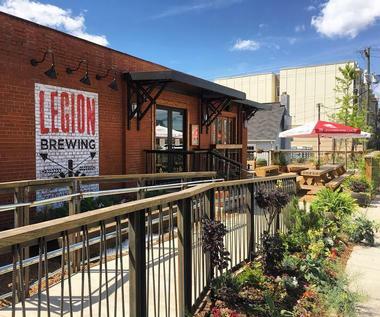 Legion Brewing is a popular brewery, pub, and restaurant on Commonwealth Avenue near the lake that attracts a loyal following with its great IPAs, many other styles of beer, excellent pub grub, and wonderful social atmosphere. The spacious dining room is made warm and cozy with reclaimed wood, and the back room has a balcony from which you can watch your favorite beer being made. With plenty of board games, TVs for following your favorite team, and occasional live music, Legion Brewing is a fun spot to enjoy with friends or family and even the family dog. It can get noisy, but it is worth it. Latin American Contemporary Art (LaCa) Projects is an exciting new platform for presenting Latin American art and culture and encouraging dialogues between artists. Located in the heart of the revitalized FreeMoreWest neighborhood, LaCa Projects works to develop Latin American Contemporary Art by exhibiting influential and thought-provoking works by emerging and mid-career artists. The museum features a permanent gallery exhibiting the work of local artists and another gallery which hosts a variety of exhibitions by established Latin American artists throughout the year. Visitors can watch artists at work in their studios and tour the galleries. 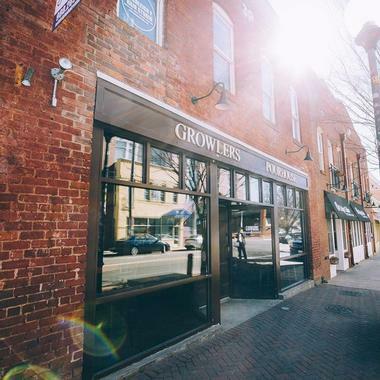 Growlers Pourhouse is a popular neighborhood pub in Charlotte with exposed bricks, a nice and friendly atmosphere, and 14 rotating beers on tap. Most beers come from several neighborhood breweries such as NoDa Brewing and Birdsong Brewing. The large wooden bar and communal tables are often packed and the atmosphere is lively, especially on days when the big game is on one of the many large TVs. There are complimentary bowls of popcorn and one of the most popular offers on the pub’s menu is a plate of raw oysters on the half shell. There are also house-made sausages and brats and other popular pub grub. Hendrick Motorsports is a NASCAR championship-winning team and race car center located in Concord, just one mile from the Charlotte Motor Speedway. NASCAR fans can visit the campus at no cost during regular hours of operation and explore the state-of-the-art facilities, which feature the Hendrick Motorsports Museum and the Team Store. Hendrick Motorsports has earned a record 11 car owner championships in NASCAR’s premier division, the Sprint Cup Series, since 1984. The museum documents this successful history with photography exhibits. The Hendrick Motorsports extends its operating hours on race weekends, during which time visitors can watch the preparations for a big race. Public events such as autograph sessions occur regularly, and autographed merchandise can be purchased from the Team Store. 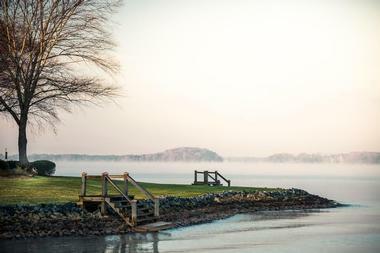 Just 15 miles from Charlotte, Lake Norman is a beautiful man-made lake that offers a wealth of leisure activities for visitors. The lake was created by Duke Energy in 1963 and is still the largest man-made lake in the Carolinas. Lake Norman and the surrounding towns of Cornelius, Davidson, and Huntersville offer shopping, golfing, fishing, and a variety of water activities. The lake is 34 miles long and features numerous attractions such as the Cowans Ford Dam and the Marshall Steam Station. Cornelius is a tranquil, pleasant lakeside town. Huntersville is packed with historical and cultural sites, including the historic homesteads Rural Hill and Latta Plantation, as well as shopping and entertainment. Davidson has excellent hiking and biking trails.